Adolescent idiopathic scoliosis (AIS) is a deformity of the spine deformity that develops without a known cause in an adolescent, generally aged 11 to 18. A healthy spine provides the main support for the body, allowing a person to stand and sit upright, walk, bend, and twist. The spine’s natural front-to-back curve helps it withstand impact and force and maintain a person’s balance. There is no normal curvature from side to side. Adolescent scoliosis, however, results in a sideways curve to the spine, potentially causing uneven distribution of weight and spinal stress that can become disabling and disfiguring. The curvature may become more apparent as the affected adolescent ages and undergoes growth associated with puberty. 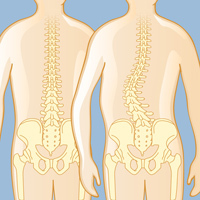 Noticeable signs of adolescent scoliosis can include a variation in height of the shoulders (also visible as a difference in where the arms hang beside the body) and the hips; in addition, a person’s head may look off-center from the body. A curvature may be more apparent when bending forward. Most cases of AIS are mild and treatable, but the musculoskeletal disorder can worsen over time, with progression especially likely to happen during the growth spurts that occur during adolescence. The severity of the curve pattern is measured in degrees. The larger the degree and the younger the patient, the more likely the scoliosis will get worse and need treatment. One serious complication of an extreme curve is deformity of the rib cage, which may press against the lungs and heart and make it harder for the teen to breathe and the heart to pump. The word idiopathic in the condition called idiopathic adolescent scoliosis (AIS) means that the cause of the spinal curvature is unknown. Progression of adolescent idiopathic scoliosis usually subsides after the child stops growing. There are other causes of scoliosis in adolescents that are not idiopathic. Congenital scoliosis occurs when the spine develops abnormally in utero and may be identified at an early age. 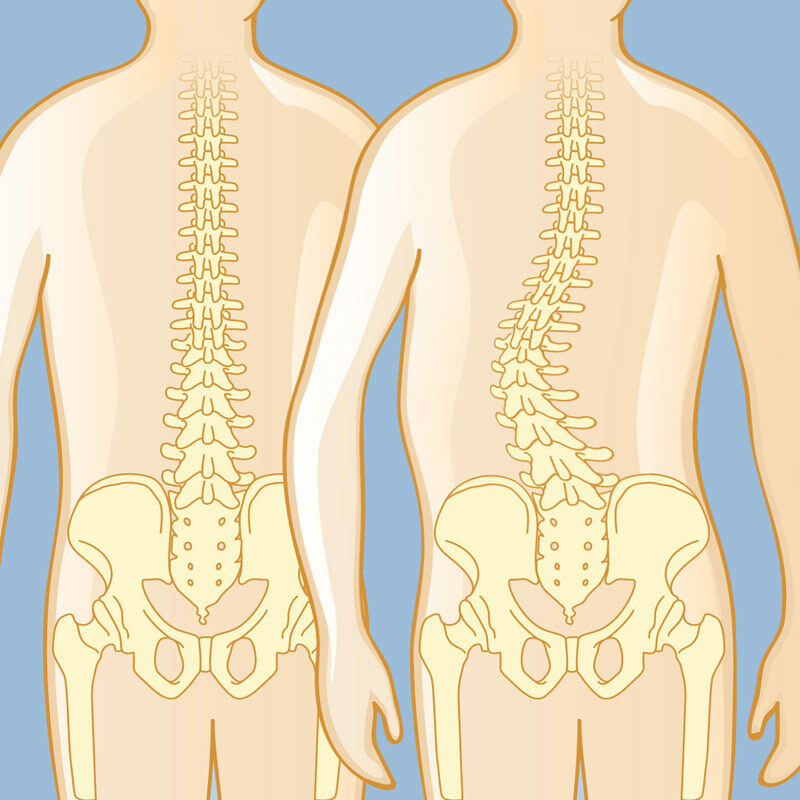 Neuromuscular scoliosis can be related to disorders such as cerebral palsy, spinal-cord trauma, muscular dystrophy, spinal muscular atrophy, and spina bifida. Leg-length discrepancy can lead to scoliosis when the spine develops a curve to compensate for the imbalance.